As an Engineering Manager of Digicorp, I am responsible for improving overall engineering processes of product design and development. I am also responsible for building quick prototypes to upsell our new offerings. Recently, we have been working on products like mobile assistant for expecting mothers, mobile app for parents of autistic child, web portal for educating teenage girls and a career guidance portal. All of these solutions are content-rich. Information Architecture plays a vital role in such content-rich apps and it is one of our strong areas but we still feel that, there will be a large number of users curious to get quick answers on specific questions. To achieve that, we came up with an idea of implementing Chatbot along with existing offerings. The goal was to build a quick prototype and demonstrate existing clients how chatbot can solve above and other online support problems. We used Api.ai for the same and here are the simple steps for you to follow. Now go to messenger’s Setting and generate a token for your Facebook page. You will be able to see list of Facebook pages that you have in your account. Select a page and it will generate token for that page. Keep this token for future use. Now it is a time to connect Facebook messenger with automated response engine. We are going to use api.ai for the same. Open api.ai in a new tab, go to console and create a new agent. Leave everything blank except name of the agent and save it. Once you enable Facebook messenger integration, you need to do following changes. Copy Callback URL and keep it with you for future use. Enter verification token. It is manual entry. Choose any alphanumeric value. Paste the Facebook page token that we have from Step 4. Click on Start. It will start the bot engine on api.ai. Once Webhooks Setup is complete, you need to setup subscription of particular web page. Check below webhooks setup, select page and click on Subscribe. You are done with all the configuration that established a handshake mechanism between automated response engine api.ai and your Facebook page. Now need to feed the data to api.ai. Go to api.ai console and select an agent that is connected with Facebook page. Click on Intent and Create Intent. You can write possible combination of questions under User Says and possible response and Save it. You can learn more about intents, events, actions and different type of responses on api.ai documentation. Go to api.ai and select the Web App integration from list and enable it. Paste that iFrame code on web page and it will show the web client on web. Clone iOS api.ai client from github. Run ‘pod update’ in the ApiAiDemo project folder. It’s done. Run the application. The provided library has a very basic version of showing responses. You can always enhance to real chat application along with nice UI and branding. Go to api.ai. Open agent settings and copy client access token. Clone Android api.ai client from github. In the Project browser, open apiAISampleApp/src/main/java/ai.api.sample/Config. Replace ACCESS_TOKEN with copied token from step 1. 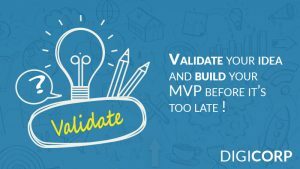 I hope these simple steps will help you build quick chatbot prototypes for you and your clients. Do share your thoughts after you bring them in production. Previous Previous post: Looking for a Product Development Partner? Next Next post: How Do We End Up Making a Bad Product?